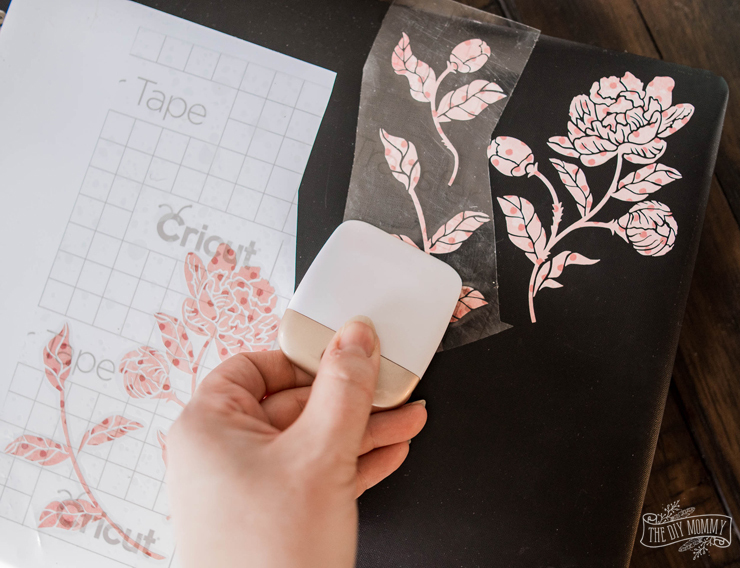 Learn how to make custom DIY stickers or skins for your laptop, phone & notebook with your Cricut and gorgeous vinyl by Natalie Malan! 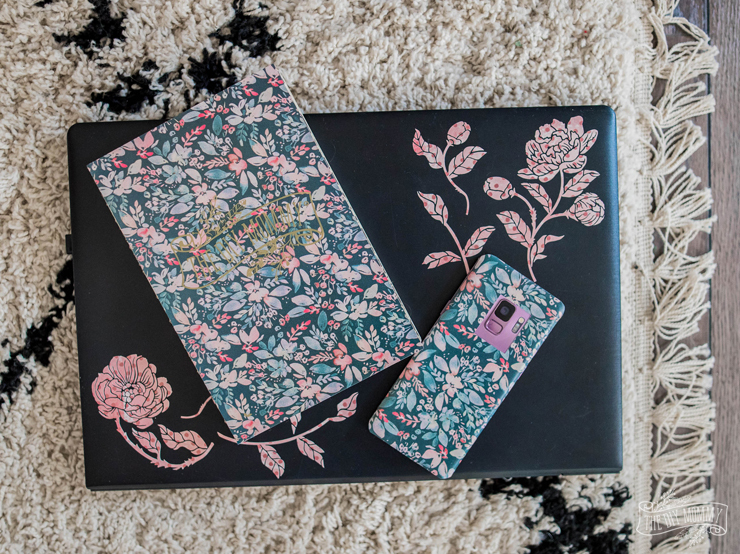 As you probably know by now, I’m a HUGE fan of anything and everything floral. 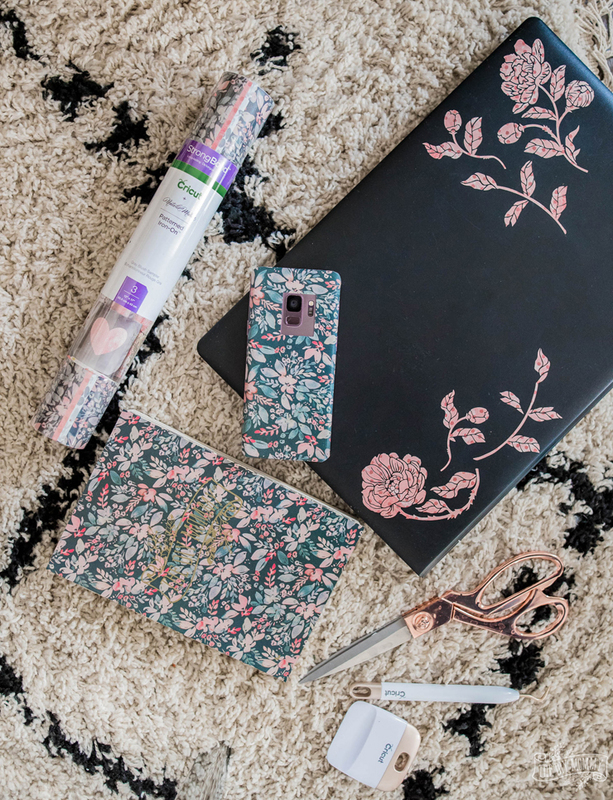 When I saw Natalie Malan’s new line of exclusive vinyl, iron-on and paper for my Cricut Wild Rose Air 2, I was immediately inspired to use them to decorate my laptop, phone and notebook. 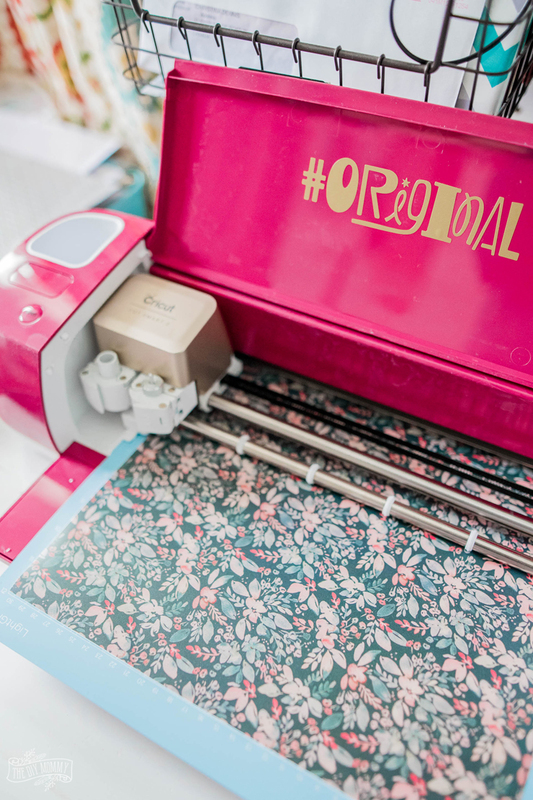 In case you missed my first post about the Cricut® Explore Air™ 2, Wild Rose Edition, click right here to see my thoughts and what I made first. 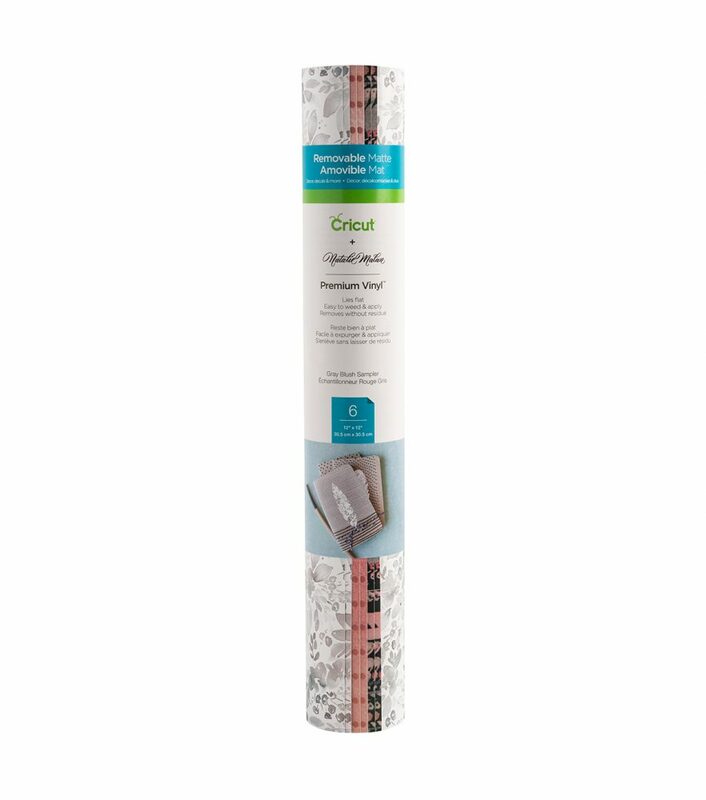 This new, vibrant colour of Explore Air is available exclusively at JOANN, so it’s for all of my American crafty friends! 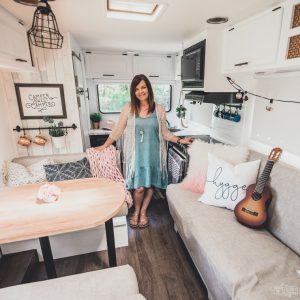 Cricut has partnered up with 3 incredible ladies with amazing #fearless stories and unique designer styles for exclusive series launching at JOANN throughout this year! 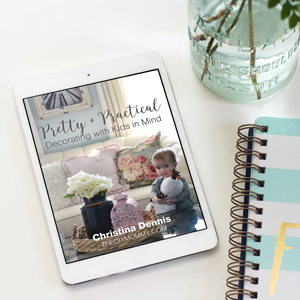 I can’t wait to see all of the exciting patterns & craft ideas from these inspiring designers, as well as hear their fearless stories to inspire us to be fearless creators. 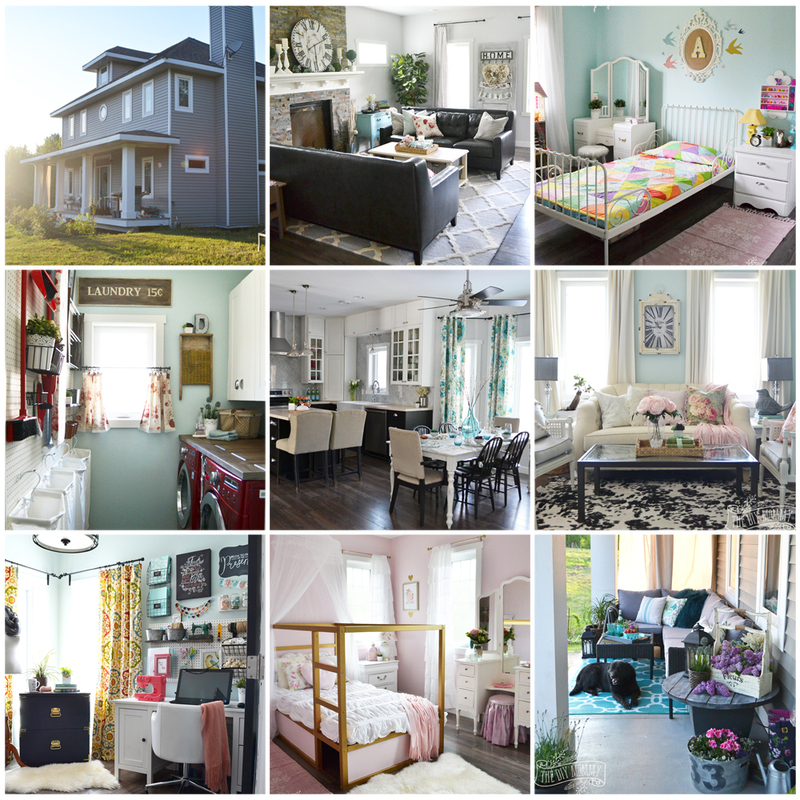 I’m loving Natalie Malan’s style – the creator I’m featuring today! 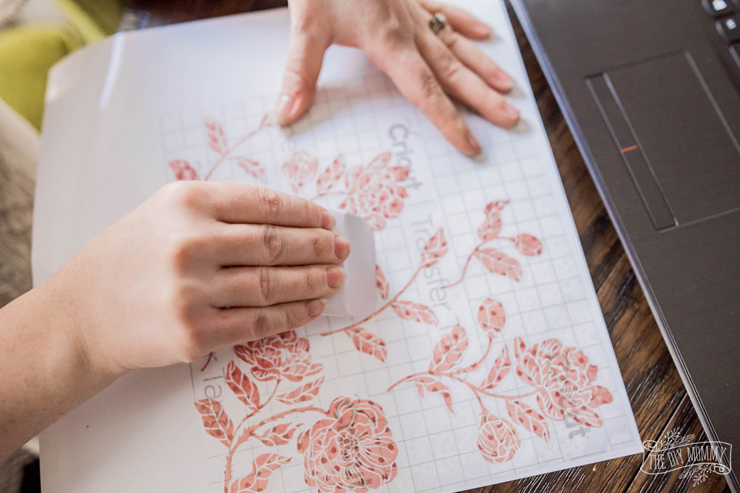 Her watercolour and floral elements are right up my alley, and I can’t wait to craft through all of her gorgeous materials with my Cricut Explore Wild Rose Air 2. 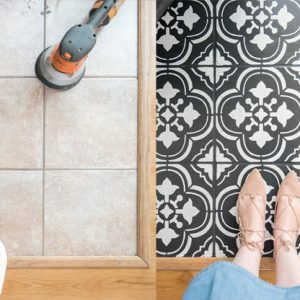 There are also 6 inspirational projects made by Natalie using her new materials FREE on Design Space so you can grab up her materials and start crafting! I’m really looking forward to working my way through all of her materials, but one of my absolute favourites is this Premium Vinyl Patterned Sampler in Gray Blush. The intricate florals are my jam, and I love the colour combo! I first got to work making some floral shaped stickers from the vinyl with the pink polka dot vinyl. 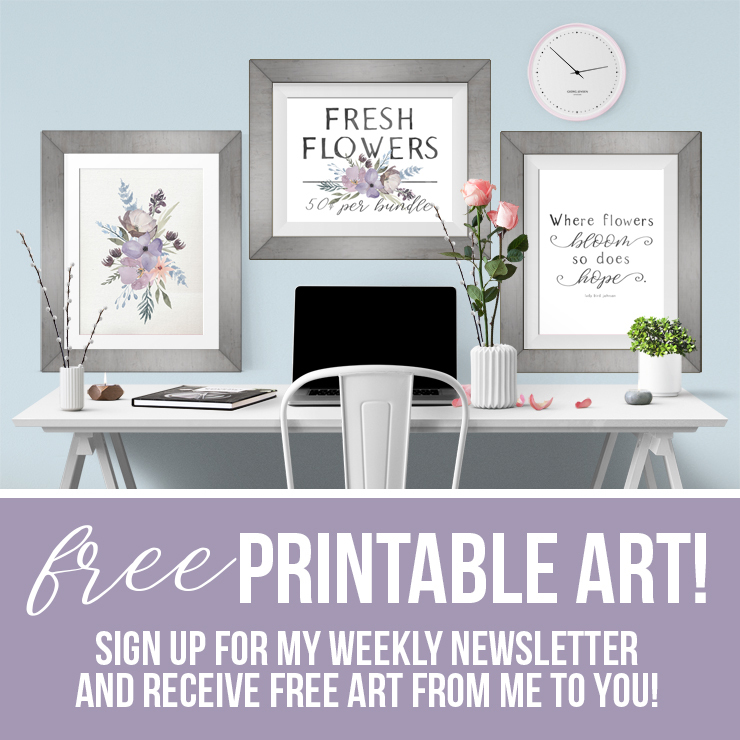 I found a floral cut project that I loved on Design Space (it was the Martha Stewart Garden Party floral design which you can find here on my Design Space project), resized it to match the dimensions of my laptop, and cut that onto the vinyl with my Cricut Wild Rose Explore Air 2. 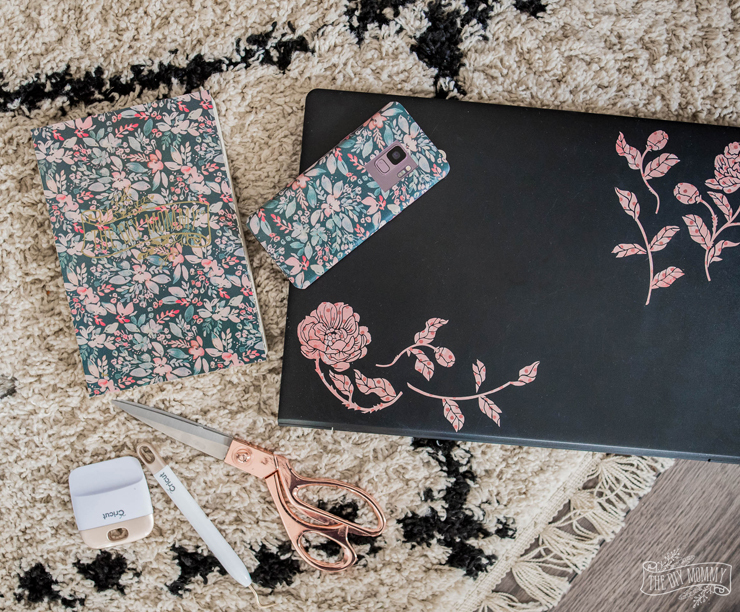 … and I transfered the floral elements to the front of my laptop. I’m just loving the pink flowers against my black laptop! It’s such a nice, easy way to make it more interesting and beautiful. I also made a simple vinyl cover for my cell phone by drawing a rectangle with the dimensions of my phone on Design Space, drawing another rectangle inside of it for the camera lens area, and cutting the design to my favourite Premium Vinyl. Then, I simply removed the vinyl and applied it to the back of my phone. 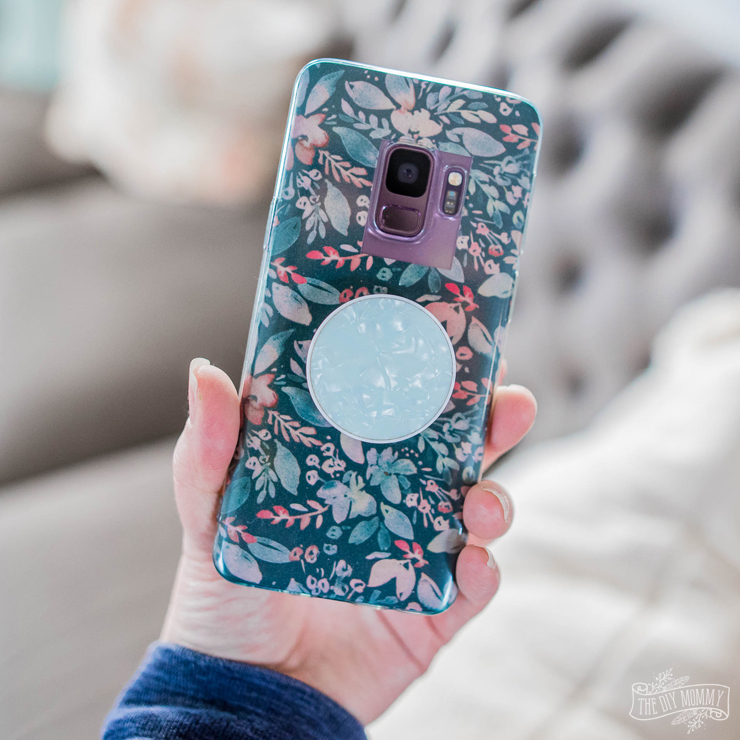 I also like how it looks with my clear cover and pop socket on top! It gives my phone so much more personality. Finally, I covered my notebook with vinyl as well, designing it and cutting it in the same way I did my phone on Design Space. 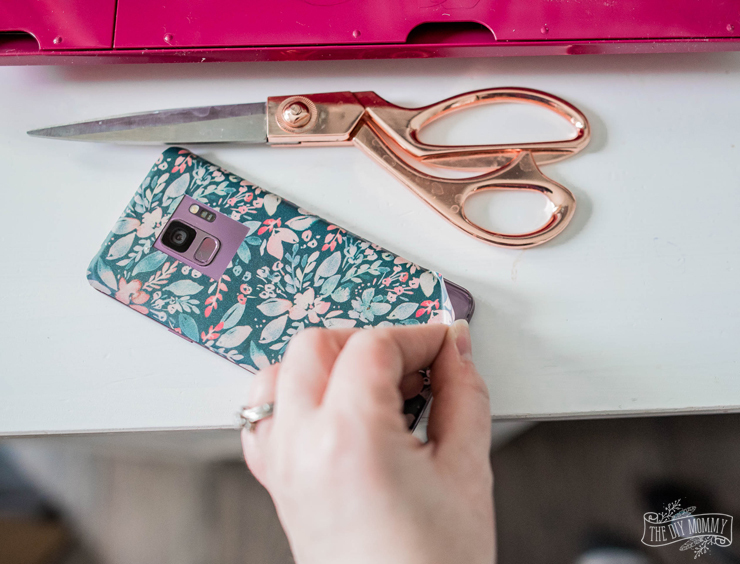 I attempted to put my blog logo over the patterned vinyl in a gold vinyl, but of course the logo gets lost in the gorgeous floral… so I’ll have to try another version of this DIY soon that uses more contrast! These new, flowery office accessories make me so happy and they were so easy to make! 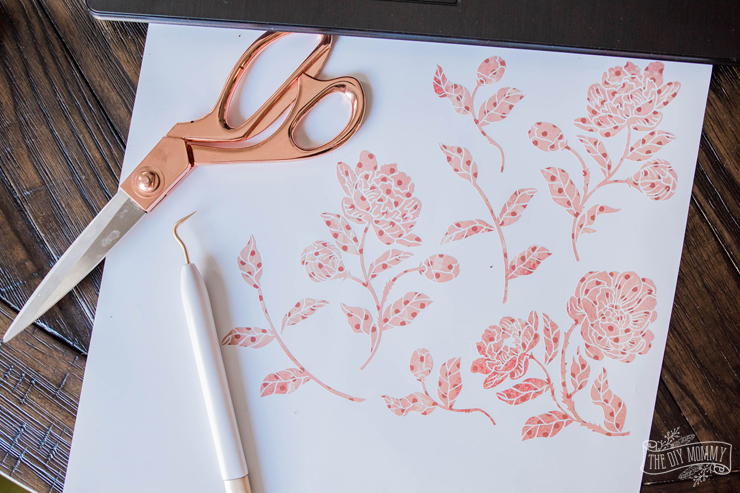 I truly can’t wait to try out the rest of Natalie Malan’s gorgeous materials with my Cricut. Now tell me: What would you make with Natalie Malan’s new line of exclusive vinyl, iron-on and paper? So very pretty. I have a silhouette and haven’t seen beautiful floral vinyl like this. Your inspiring me to make take a quick trip down to Joann’s in Helena to see what I can find. 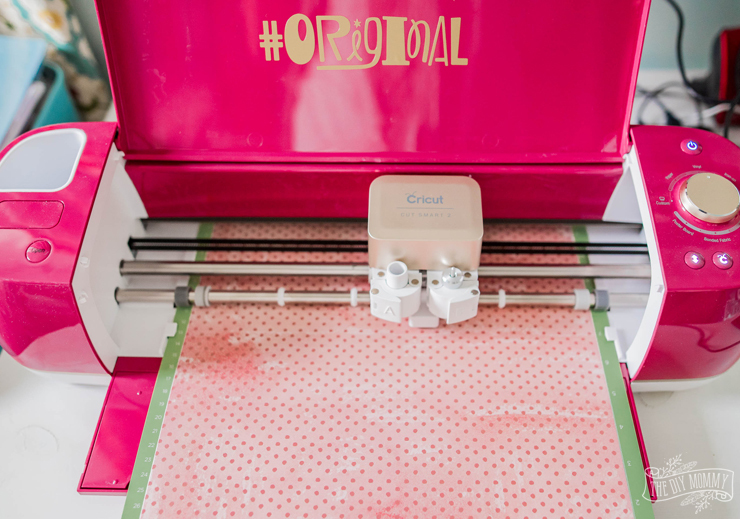 Love the colours of the Cricut and wish I had one….sigh.